When the U.S. border patrol concocted a plan in 2005 with the help of George W. Bush called "Operation Streamline" the idea was to get tough on immigration by arresting and prosecuting those who crossed the border, instead of simply deporting them or placing them in a civil detention center. According to a report by the Bureau of Justice (BOJ) more than 80% of immigrant defendants received a prison sentence. (1) This punishment was for crossing an imaginary line into territory that was, before the battle of Alamo, their country's land. If one looks at it from the side of someone who crosses illegally, held up to 15 months in jail, one must ask what the hell is going on with this new prison system. According to the BOJ statistics the more than 60,000 people convicted of immigration crimes in 2014-15 were primarily found guilty of one of two things: "illegal entry" or "illegal re-entry." In Texas, where many arrests are taking place, it is costing the state $270/day to house immigrants, not including food. That's $98,550 a year! Former Attorney General Eric Holder announced reforms to the nation's drug sentencing laws in an attempt to reduce the number of federal prisoners held on non-violent offenses, but these actions are not tackling the bigger picture. The expanding pool of new prisoners has meant steady business for the two largest U.S. private prison corporations. Last year, Corrections Corporation of America (CCA) received 30% of its revenue from federal contracts with the U.S. Marshall Service and the Bureau of Prisons (BOP), a total of $546 million. The GEO group received more than 25% of its revenue for a total of $384 million and four of the CCA's board's senior executives are former BOP employees. In Pearsall, Texas, there is a jail that can house up to 1,800 men at any one time, sleeping up to 100 on iron bunks in dormitories. This isn't a traditional jail, but a piece of land surrounded by fences topped by razor wire and run by the GEO group. In Arizona, three privately run jails have contracts that require 100% occupancy. The main incentive for private prisons is to make money and they lobby politicians to keep it that way. The United $tates is a country where private corporations profit from "lockup quotas." So in the eyes of capitalism "Operation Streamline" is full steam ahead. 1. Bureau of Justice Statistics, "Immigration Offenders in the Federal Justice System, 2010", 18 July 2012. 2. Congressional Budget Office, "Cost Estimate for S. 744 Border Security, Economic Opportunity, and Immigration Modernization Act," 18 June 2013, p. 52. MIM(Prisons) adds: Private prisons are indeed cashing in on national oppression in the United $tates. And the use of prisons to target migrants is a key component to the imperialists' efforts to keep the borders closed and hoard wealth for Amerikan citizens. Defining the act of crossing an imaginary line in pursuit of a safer environment or a higher wage as illegal and requiring imprisonment is just one more way that the Amerikan criminal injustice system ensures a system of social control over oppressed people within U.$. borders. And the private prisons have found a way to turn a system that is inherently built on taking a financial loss (the government has to subsidize prisons as they do not make enough money from prisoner labor to run themselves) into a profitable enterprise for imperialist parasites. Sadly, there is no problem filling these prison quotas, as the criminal injustice system shows no sign of cutting back on what has become the largest imprisonment country per capita in the world. We have written before about the private prisons economic push to lock up more migrants. (1) And in response to these conditions, more recently we have seen some migrant prisoner protests. (2) In the end we won't be able to defeat this system of national oppression against migrants and all oppressed nations without dismantling imperialism itself. Imperialism depends on closed borders to ensure luxury for a few at the expense of the rest of the world. 1. MIM(Prisons), "National Oppression as Migrant Detention," Under Lock & Key No. 11, November 2009. 2. MIM(Prisons), "Prisoners Take Over Adams Correctional Center in Protest of Conditions," Under Lock & Key No. 27, June 2012. How can we unify the common interest of the prison population at Kern Valley State Prison (KVSP) when you have those who understand the needs of the masses and address them accordingly in direct opposition of those who place their own personal agendas as well as status above the needs of the people. President John F. Kennedy once said "ask not what your country can do for you, but what you can do for your country. "(1) This statement transcends class, ethnic, political and economic spheres. In 1964, Clarence 13X (2) did something for his people that was at times hidden from even the initiated parties in the NOI/FOI umbrella (Nation of Islam), he liberated the people through the development and synthesis of the supreme mathematics and supreme alphabets. (3) He exposed the true nature of the Black man (Blackman is jet black, brown, red, yellow peoples) to the masses. (4) When coupled with the Supreme Wisdom lessons given to the Honorable Elijah Muhammad the result is the 120 degree Book of Life; a tool used to promote mental, physical and spiritual growth, through diligent study of the social science of life. An experiment was conducted to evaluate the principal contradiction of prisoner vs. selfish individuals from a Nation of Gods and Earths (NGE) perspective. Father Allah (formerly Clarence 13X) stated "I'm not pro Black, no am I anti white, I'm pro righteousness and anti devilishment. "(5) The 33 degree of the I-40 defines a devil as any man which is made weak and wicked or any grafted, live germ from original is a devil. (6) The I-40 defines the 5% on the poor part of the planet earth as poor righteous teachers who are all-wise and righteous. (7) So the God Body put into practice a blueprint established in Message to the Blackman in America. (8) To see who in fact would make a concession for the sake of the whole (prisoners) or plot scheme and manipulate for parasitic status, personal wealth and physical lust (selfish individuals). The entire range of programs can be found in Message to the Blackman in America. The core of these programs are in direct line with United Front for Peace in Prisons (UFPP) principles of peace, unity, growth, internationalism, independence, written in language specific to oppressed youth (those without knowledge of self). The first task was to free the God Body from the open-ended oppression of the privileged entitled hierarchy of Islam. That happened 9 October 2014, when 25 independent parts came together and collectively established a Universal Parliament(U.P.) and began building during cipher Saturdays. The U.P. was offered every other Thursday for a "trial" period. Because of the KVSP operational procedures, the God Body does not have the luxury of everyday contact, so Thursdays and Saturdays became show and prove days. The results were complex in nature. The main principal contradiction of prisoner vs prison came into play. The administration, short of Security Threat Group profiling us, made going to the chapel a hassle, made getting the God Body out on ducats to U.P. an uphill battle. The God Body was informed beforehand also of the possible delay tactics and threat assessments. Certain free staff, whom due to fear of the unknown, began to spread chaos and confusion among ill-informed followers. This resulted in hostile posturing on their part. Yet the truth had revealed a sense of security was lost when "all of the wise people walked off." The next task, was to provide the God Body with study material to engage in informed conscious development. Collectively the God Body pooled all resources together so that no one was lacking. Then certain elements began to replace sound science with political slander for sympathy (an act that would eventually lead to a divided front). The pooling of resources was a show of growth, certain elements viewed this growth as a chance for a power grab for personal gain, such as establishing credit with parasites. Allying with capitalist movements that even Mao himself would wish to execute. The movement isn't about short-term "runs." The movement is constant, generational, so, in order to preserve the integrity of the God Body resources were issued as needed to prevent selfish deeds. Resulting in mysterious bed moves occurring at odd hours of the night. The next task was to apply peace (9) towards the population. Peace happens to be the final goal of what we will achieve. (11) So rules of A-yo you immediately placed the God Body as a threat to the status quo. This shed light on those that had intentions of using the God Body for selfish interests. Elements began to poke and pry into affairs, blowing any and every situation into all out war, when in reality, those elements were upset that the God Body demonstrated peace and harmony instead of the usual chaos and confusion. An extra insight was gleaned also, when a proletariat has no major opposition or when elements feel the enemy has come and gone it may eat itself because peace may be seen as weakness. Prisoners vs. prisons, as a personal opinion, ensures opposition larger than a divided yard. The demonstration resulted in a pruning effect. The selfish individuals cut themselves off from the God Body, actually returning to an oppressed state. The next task, was extending support to other righteous people who adhere to the absolute truth. In motion as we speak, is the movement to secure close ties between the Black man's nation. At this point I would like to address the notion that there are no white god bodies. Azreal and Azreal Wisdom are both well known poor righteous teachers deeply rooted in the movement. This movement allows for the entire NGE to thrive as one strong nation. To criticize one of your own for developing and implementing applied science to build up, not tear down, the nation shows a clear lack of study of the supreme sciences involved in the use and practical application of the 120 degree Book of Life. Those selfish individuals would voice the rhetoric of racial infiltration. The reality is, the God Body is not a circle within a circle. It is 3 dimensional and metaphysical. Able to assert its chemistry and algebra across all aspects of life. If elements reach out to parasites for support you can't honestly say you God Body. After synthesis of accumulated findings the God Body can survive if and only if the selfish individuals remain outside of the body. During the qualitative experiment the selfish individuals main objective was to establish a parasitic egg inside of the God Body to bring the movement to a stand still. One selfish individual after another removed themselves from the body citing the fast of Ramadan as the reason for removal. Yet, through efforts of the prisoners working to liberate the God Body Ramadan is a non-issue. The question I pose to the world is how long will it take for selfish individuals to stop pretending and start presenting? MIM(Prisons) responds: We salute the comrades of the Nation of Gods and Earths and other organizations at Kern Valley doing this important work as part of the struggle to build a United Front for Peace in Prisons. It sounds like they are really putting in the work with the right attitude of protracted struggle. While we have some criticisms of the NGE ideology related to Supreme Mathematics and Supreme Alphabet and their tendencies towards idealism and metaphysics that we've addressed in more depth elsewhere(14), this comrade demonstrates the dialectical materialist method in eir practice above. And it is that kind of experimentation in the laboratory of U.$. prisons that will allow USW to learn and grow into an effective organization. In this analysis the comrade mentions a few principal contradictions, all of which are important to discuss. However, it is important to note the context of each one, as each thing has a principal contradiction that defines that thing at a given moment in time. For instance, the contradiction of prisoner vs. selfish individuals is one that we might reframe as the necessity for the lumpen to come together as a class to survive and its tendency to resort to selfish individualism following the capitalist model, which allows for short-term gains for some. This is an important contradiction that we think defines the First World lumpen class, and is therefore principal. The contradiction that defines the internal semi-colonies in the United $tates we think is that between assimilation and liberation, which is related to the contradiction discussed of wanting to be free and actually being free. And finally, there is the contradiction between prisoners and the state, which is the principal contradiction defining the prison system. Those interested in an in-depth discussion of the principal contradiction in the prison movement can write us for an essay we have on that topic for USW comrades. 8. Message to the Blackman in America, by Elijah Muhammad, 1965, p.173-75. 14. Legion, Five Percenter Responds to Religion Study Pack, January 2016, Under Lock & Key 48. Many prisoners view the organization formerly known as the Mens Advisory Council (MAC), now known as the Inmate Advisory Council as servants of the people behind prison walls. Most of the people believing this fallacy are the new or relatively newer and younger prison population, and even some older prisoners who should really know better by now. However, for those of us who do know better we not only know the true limitations of the MAC but their true purpose within these walls, and so it's not for nothing that some of us refer to the MAC organization for what it really stands for: "Man Against Convict." The original idea for what came to be known as the Mens Advisory Council can be traced back to the turbulent 60s and 70s inside of California prisons and the violent years that followed which included a relatively high number of staff assaults, prisoner-on-prisoner violence, and both peaceful and violent protests. 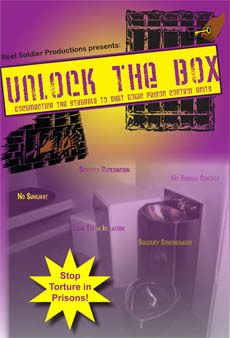 The Council was initially conceived of by socially conscious prisoners as a way to not only encourage and develop dialogue between prisoners themselves to avert unnecessary violence between the white, [email protected], New Afrikan and First Nations, but also as a way to develop this same dialogue between prisoners and the prison administration. In this way then the precursors to the MAC were meant to function not only as representatives of the prisoner population with prison administrators, but as advocates of prisoner rights. And for some years this precursor to the MAC org did what they set out to do, maintaining both a level of favorable and positive bias towards the prisoner population as well as enjoying a righteous level of credibility amongst prisoners themselves. Both the precursor to the MAC organization as well as the MAC itself tackled issues ranging from visiting policy and procedure, to basic hygiene and sanitation issues, to quantity and quality of food, to how our mail was to be properly handled. As time went on however the MAC went from an organization representing the interests of the prison population as a whole to being co-opted by the powerful lumpen chiefs and representing their narrow and counter-productive interests, from which it was then taken and turned into an organization working in the interests of prison administrators. Today the IAC functions as an extralegal means for prison administrators to get from us exactly what they want, which is a highly passive and compliant prisoner population. As such, the MAC/IAC organization has become just another tool of the prison administration used to control us not unlike the tools on a pigs belt; like the pepper spray they use to gas us, or the batons they beat us with — just another tool. I would like to take this concept even further. One can even liken a MAC rep to a neo-colonial ruler in the Third World who, thru their representation in government, gives the illusion of independence and a real self-determination to their compatriots; a nominal independence or a fictious level of power. This is not to say that the MAC/IAC never get anything done or accomplish anything for us. Quite the contrary, they do manage to accomplish a small victory from time to time. But prisoners get it twisted when they begin to believe that the MAC/IAC reps are there to serve or win anything for us. We must be clear about one thing here, the MAC reps accomplish nothing for us that the administration doesn't allow them to. In other words, in the battle for prisoners' rights, prison administrators do not lose to the MAC/IAC, rather they concede. Concessions in the prison realm are "necessary evils" to prison administrators as they are used to lend a level of legitimacy to the MAC/IAC org and hence continue their support from the wider prisoner population. Just like the system of neo-colonialism in the Third World, nominal leaders are allowed to govern and rule exactly because the imperialists allow them to, but these leaders must also have the support of the masses so that they may keep on ruling, or else the entire system collapses. Surely there will be some who want to consider my allegations to be untrue, but it is hard to argue with my thesis when you see the MAC/IAC reps actively working against you. All you have to do is look closely at your MAC/IAC reps and ask them, what have they done for you lately? What oppressive and repressive policies have they helped the pigs peacefully implement and transition to with or without prisoners' consent? Not for nothing that a lot of the MAC/IAC reps are flat out hustlers and silver-tongued liars looking to swindle you out of your rights and privileges. Indeed if we look closely at these MAC/IAC reps we can see that they are messenger boys and running dogs to the administration because they have to be. This is not to say that all MAC/IAC reps are bad. Of course there are some who actually seek out and take up these positions because they are truly interested in bringing positive change to the oppressed prison population, but these people are few and far between. These people however are also naive because they actually believe that they can bring real change to the prison environment thru steady reform, therefore they can also be some of the most convincing and legitimizing aspects of this oppressive prison apparatus and hence the most lethal to the prison movement for they will try the hardest to convince you of working within the system. (a) Each warden shall establish an inmate advisory council which is representative of that facility's inmate ethnic groups. At the discretion of the warden, subcommittees of the council may also be established to represent sub-facilities or specialized segments of the inmate population. (2) The council shall operate only under the constitution and by-laws as prepared by the council's inmate representatives with the advice and guidance of designated staff and approved by the warden. (d) Inmate advisory council representatives shall not, as a council representative, become involved with inmate appeals unless the matter affects the general inmate population and such involvement is authorized by the warden. (h) A staff person at the level of a program administrator or higher shall be designated as the inmate advisory council coordinator. (i) Facility captains shall be directly involved in council activities within their respective programs and may delegate specific aspects of supervisor, direction and responsibilities for council activities within their unit to subordinate supervisors. The Machiavellian implication of all this is all very apparent then, and one must be a special kind of naive to not see the resemblance between imperialist foreign policy and how prison administrators choose to deal with the prison population; the majority of whom come from the oppressed nation lumpen. Amerikan imperialism is hostile to the oppressed global majority and their foreign policies are reflective of this hostility. Likewise prison administrators' dealings with the prison population mirrors Amerikan foreign policy exactly because prisons are extensions and tools of national oppression and social control, and so it is logical and to be expected that Amerikan foreign policy and the policy of prison administrators are two sides of the same oppressive coin. Whereas one deals with the oppressed nations on an international level, the other deals with the oppressed nations on a domestic level. Furthermore, as a matter of foreign policy U.$. borders are the structures used to keep Third World workers out and unable to gain access to their portion of wealth stolen by U.$. imperialism, whereas prisons are used to keep the oppressed nation lumpen in their place and away from this same global metropolis. It has been said many times before, prison is a microcosm of society and it is time we begin to actively engage in this society. Marxist philosophy holds that we are all products of our environment and just as our environment has the power to influence and mold us, so do we have the power to influence and mold this same environment. We shouldn't be relying on individuals or small cliques of people to speak and act for us. We should rely on ourselves and our sheer numbers to bring change. Therefore, it is time that this whole business of MAC/IAC reps be done with and put to an end. It would be a positive qualitative development for the prison masses to begin relying on themselves. Individuals don't make hystory, the masses do. 1. International Relations, Goldstein and Pevehouse. Pearson Longman publications, p.139. I would like to give props to Loco1 of USW for the article in ULK 38, "Lasting Impressions." It eloquently expressed the realistic truth of non-whites rising into Amerikkkan political poverty and oppression, but ultimately becoming part of the Amerikkkan imperialist machine, and therefore part of the problem. They undeniably dance to the same tune as the kapitalist oppressors, which is the only way they can get elected into office in the first place. The oppression they become co-conspirators of far outweighs any good they may be trying to contribute to cultural progress, the revolutionary movement, or even reformism. President Obama's black face on the white-Amerikkkan agenda does very little to counter the injustices he inflicts upon the less fortunate. His priority is to please white-Amerikkka and contribute to kapitalism. Everything else is secondary. Revolutionary minds can learn from Loco1's political view. However, it draws concern when Loco1 talks of redistributing the lands fairly: "you get what you need. Nothing more, nothing less." Subsequently following a successful revolution this act alone would shift the possession of land for one colonizer to another at the expense and exploitation of the indigenous peoples. Very little of what I've read from the MIM organization has ever gotten to the heart of land claims, which should first and foremost be redistributed back to the First Nation original owners. Many indigenous will be part of the revolution. Non-natives seem to think they are entitled to this land as spoils of war, with complete disregard to the First Nations' claims. Communism is supposed to eliminate oppression. This act would contribute to it, but with power shifting to the hands of a different ethnic and political class. A complete overthrow of Amerikkkan power should give the land back to those it's belonged to since the beginning of time. This soil is the Redman's tribal ancestral roots and the creator's gift to our people. This includes Mexicanos. Whatever land, if any, is eventually "redistributed fairly" should be at the sole discretion of its tribal owners. Period. (And it's important that non-natives understand this.) Land would be distributed considerately and compassionately as they feel necessary and see fit. Unless, of course, the communist victors then choose to redirect their war towards the First Nation peoples with the intent of keeping them on reservations and stealing the land by force. That would make them no different than this current Amerikkkan imperialist swine. In the article Loco1 spoke with the voice of New Afrikans but I think he should rethink his ideas for land grab from the indigenous point of view, who have suffered the biggest atrocities and injustices in history. MIM(Prisons) responds: This is a letter that we forwarded to Loco1 for comment. Having not received a response we will address this question now. It seems we have great unity with the writer above, and we appreciate this point and inquiry. While Loco1's original point was more about combatting Amerikkkan exceptionalism, which justifies Amerikans having more than everyone else, the lack of mention of First Nations land claims is certainly a valid critique. It is an ultra-left error in that it is looking towards the ideal future of communism (from each according to their ability, to each according to their need), before addressing the more immediate task of national liberation. 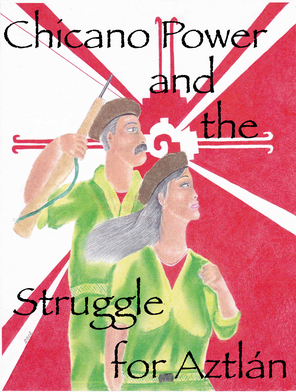 This is an issue that comrades address in our new book, [email protected] Power and the Struggle for Aztlán. Though [email protected] themselves are indigenous to this land, claiming all of the southwest United $tates could be seen as a threat to First Nations, including the largest reservation in the United $tates of the Navajo nation. MIM has long been friendly to the Blackbelt Thesis as well, and has printed maps showing both of these territories. We agree with revolutionary [email protected] and New Afrikan movements that land is central to the question of national liberation. As nations within what is today the United $tates, a failure to claim and liberate their own territory is a failure to liberate these oppressed nations. The same is true for all First Nations. The drawing of new boundaries today is more of an agitational exercise than an actual political reality, except for most First Nations. So we expect First Nations to continue to be at the forefront of determining future border issues. Their weakness, of course, is in their numbers. So it is an important warning that the comrade above issues to ensure that a national program of one oppressed nation does not impose itself onto that of another. Not only is this necessary for building a just world, it will be necessary for a successful anti-imperialist project. Any efforts by an internal semi-colony to liberate itself without regard for and cooperation with the efforts of the others will lead to no true liberation and will end in it being a puppet to the imperialists rather than being free of them. There must be a united front of the internal semi-colonies against U.$. imperialism. And once imperialism is overthrown, in imperialist nations there will need to be a joint dictatorship of the proletariat of the oppressed nations to take power and determine how society can best be run in the interests of the formerly oppressed of the world. Exactly how they address the land question between themselves, as well as with the existing oppressor nation on this land, will be determined in the evolution of that struggle, which will certainly bring about many more changes in the process. I have been engaged in halting some rather disturbing developments with the Southern Poverty Law Center (SPLC). The SPLC would like to consider themselves the penultimate authority on "hate groups." Their reputation has come into question numerous times — most recently by branding African and communist/Maoist philosophical revolutionary organizations "hate groups." In 2014, former professor of sociology at Portland State University, Randall Evan Blazak, and current professor of sociology at the University of Nebraska, Omaha, Pete Simi, went to the SPLC headquarters in Montgomery, Alabama. They travelled there to meet with SPLC pundit and media hound Mark Potok, at a meeting that included a few other academics and freelance investigative reporter Bill Morlin. The SPLC wants to use universities and academics to "study, research and report" on activities of "hate groups" under the direction of the SPLC without using or even mentioning that the SPLC is involved. Mark Potok openly stated that when groups or individuals find out the SPLC is involved, they "quit talking" and "coverup". The SPLC is doing whatever it can to obtain information on the people's revolutionary organizations. Evidently they now look at these organizations as one of the main sources of racial terror. Beware of any academic "studies" or research organizations attempting to contact anyone under academic auspices. They amount to nothing more than spies for the SPLC. Our business is our business — and none of theirs. Back in 2000, I forced then Professor Randall Blazak out of the organization we co-founded named the Oregon Spotlight for turning local anti-racists in to the FBI and SPLC. All of us, no matter our creed or methods must come together and secure our information. Please alert everyone you are able. The SPLC works closely with all pigs and acts as a clearinghouse of information. As a private organization they are not subject to "Red Scare" laws and can act under the cover of U.$. law. I am fighting this from prison. I hope others join in. We do not need a "fifth column" amongst our ranks. MIM(Prisons) responds: We can't speak to the specifics of Blazak or other professors' specific work but in general what this comrade reports is true. First, the FBI lists them right on their website stating, "The FBI has forged partnerships nationally and locally with many civil rights organizations to establish rapport, share information, address concerns, and cooperate in solving problems. These groups include such organizations as the NAACP, the Southern Poverty Law Center, the Anti-Defamation League, the National Asian Pacific American Legal Consortium, the National Organization for Women, the Human Rights Campaign, and the National Disability Rights Network. "(1) Second, the Southern Poverty Law Center has incorporated into its "hate group" work the fight against what they call "Black separatists" and included among the groups they target are the Nation of Islam, the Black Riders Liberation Party and the New Black Panther Party. (2) This approach to identifying racism by pretending to be color blind makes clear the failings of the concept of race. It is national oppression that underlies the system of one nation dominating another that is inherent to imperialism. Racism is the ideology that arises from national oppression to identify certain groups of people as inferior based on supposed biological differences. When an oppressed nation fights back against this system they do not have the power to oppress other nations, and so calling them out for "racism" or "reverse racism" is missing the importance of power in oppression. By taking on the task of identifying racism among the oppressed the SPLC are focusing their battle on the people instead of focusing on the oppressor. This objectively hinders the struggle of the oppressed and aids the imperialists. Within the people's movement we should always be vigilant in pointing out incorrect political line and practicing criticism and self-criticism, but we should not make broad declarations equating the oppressed people's organizations fight against national oppression with the racism of the oppressor nation fascist groups. Finally, we want to echo this comrade's words of caution for interacting with academics, and include any media or any unknown people for that matter. We should engage with others on our terms and not open our doors to open-ended research, interviews and investigations.